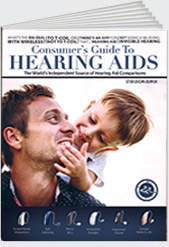 The Consumer's Guide to Hearing Aids catalogs every hearing aid manufactured in the world. It organizes hearing aids according to the different levels of technology, ranging from entry level aids on the lower end of the price spectrum, to instruments that cost more and use the newest digital technologies. 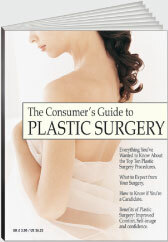 The Consumer's Guide to Plastic Surgery covers the 10 most popular cosmetic surgery procedures: Breast Augmentation, Breast Lift, Brow Lift, Eyelid Surgery, Facelift, Liposuction, Male Breast Reduction, Nose Surgery, Otoplasty, and Tummy Tuck. It uses illustrations to help consumers understand the benefits of each procedure. 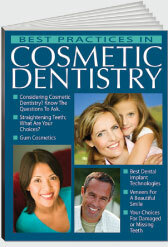 Best Practices in Cosmetic Dentistry is written to make consumers aware of today's best practice standards in cosmetic dental arts. This book covers the top cosmetic dental procedures: Cosmetic Bonding, Cosmetic Gum Reshaping, Crowns, Bridges, Implants, Veneers, Dentures, Teeth Straightening, Teeth Whitening, TMJ, and Tooth Reshaping. 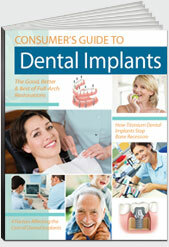 The Consumer's Guide to Dental Implants is a comprehensive, easy-to-understand booklet on the subject of dental implants. Edited by two associate professors of oral surgery from the University of Texas Southwestern Medical School, the booklet compares and explains the good-better-best choices consumers have when making the decision about the type of implant to select. 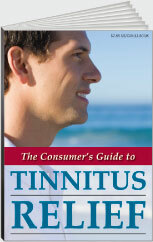 The Consumer's Guide to Tinnitus Relief explains the steps for clinical assessment and treatment. Tinnitus is the sensation of noise or ringing in the ear when an external sound is not present. This booklet explains how modern technology can significantly reduce head noise. © Copyright 2015 James W. Wilson, Inc.